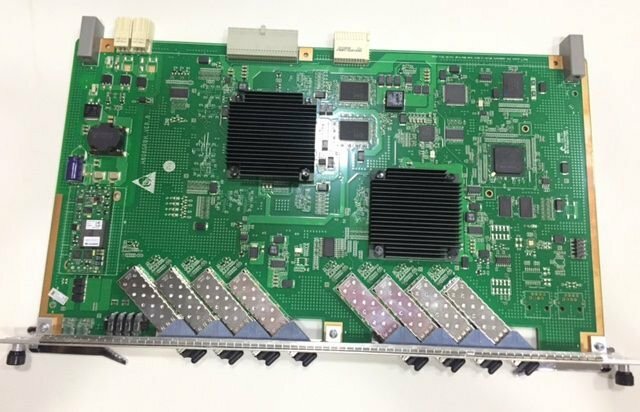 GPBD is a GPON interface card of Huawei OLT, 8-port GPON OLT Interface Board GPBD works together with the optical network terminal (ONT) to provide GPON access services, each GPBD can maximum connect 8*128 GPON subscribers. GPBD has many different BOM like H80D00GPBD01, H80D00GPBD02, H80D00GPBD03, H80D00GPBD10, H80D00GPBD11 etc, but basically they are H802GPBD, H805GPBD, H806GPBD with B+ or C+ SFP module. Q: Do you have GPBD in Hza-network Lab for remotely login test? A: Yes, we have GPBD and Huawei OLT ready for test, you may contact our sales person for remotely login test. Q: What is the difference between H80D00GPBD01, H80D00GPBD02, H80D00GPBD03, H80D00GPBD10, H80D00GPBD11? We don’t suggest you order according to this BOM, this BOM is mostly used for manufacturer producing purpose, like H80D00GPBD02, H80D00GPBD03, they are the same product, just H80D00GPBD02 with B+ SFP Module, H80D00GPBD03 with C+ SFP Module. Basically choosing GPBD card, we just need to know: 1, H802GPBD or H805GPBD or H806GPBD? 2, with B+ SFP Module or C+ SFP Module? Q: Does GPBD has any version requirement of OLT software? A: No, just make sure your OLT software included the package of your GPBD board version. Q: Can I get technical support from Hza-network if we purchase GPBD from you? A: We will able to provide technical support service for customers whose OLT and GPON card are both from us, kindly note we will charge for the technical support service. Hza-network suggests customers purchase the OLT and GPBD card from the same professional supplier so as to avoid compatible and technical issues. Q: Does the GPON SFP Module included in GPBD? Q: Can I do twice splitting with GPBD? Q: Can I purchase GPBD with C+ module? Q: Can I use a 3rd party ONT with GPBD? We don’t suggest so, as the understanding of TR069/OMCI protocol may different between different vendors.